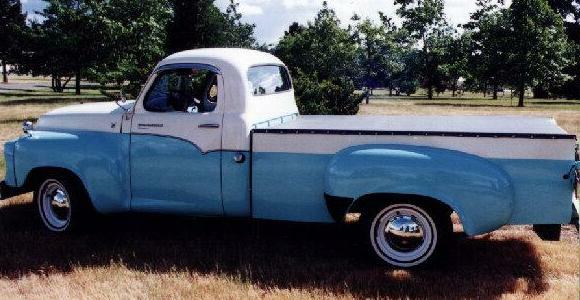 This great looking early Champ Pickup has the eight foot long narrow box. Yes, those are 1964 Studebaker car type hubcaps. I don't know if these hubcaps were an official option on trucks but they are sometimes seen on them. You could certainly buy a set from a dealer and pop them on if you wanted. The late wide box Champ that was on the January page also sported these hubcaps. The wide box, introduced in 1961, proved to be more popular, and was certainly more modern looking. Still, the narrow box with separate rear fenders has its charm. The narrow box was actually the same box used on the earlier C Cab Pickup. 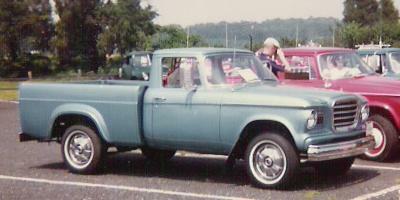 The Champ was introduced in 1960 and was produced through the 1964 model year. The cab was based on the Lark and the dash was the same is in the original Lark. 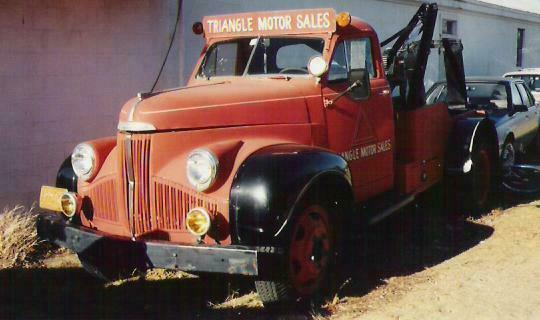 Champs were produced as half ton and three-quarter ton trucks only. Many of you have been asking for C Cab truck pictures. This picture of a really cool C Cab Transtar Pickup was sent in by Bruce Lantz. The two-tone paint scheme was a popular extra cost option. The V8 emblem on the hood indicates that this particular truck is equipped with the 259 cubic inch V8. This truck also has the eight foot long box and several appearance options. The C Cab was introduced as a 1949 model and continued in production in one ton and larger applications after the Champ came on the market. The above picture of a neat M Series Wrecker was sent in by Tom Healy. The M Series was introduced in 1940 and was produced until 1948. It appears to be in service, at least for use around the yard. The red body with black fenders combination was very common on the M Series. This is probably a heavy duty one ton model as would be appropriate to a wrecker. 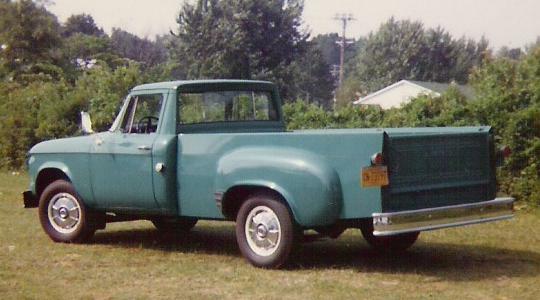 An interesting feature of Champ Pickups was that the front and rear fenders on each side are interchangable. 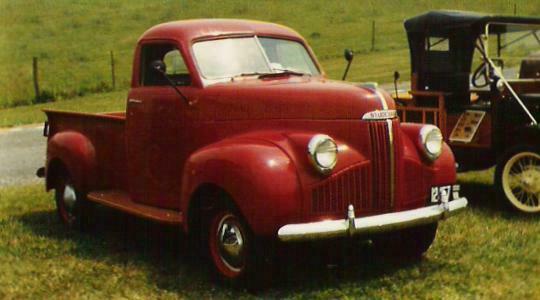 Look closely at Chester Bradfield's M Series Pickup in the picture below.